Add a little extra love to Valentine's Day with this beautiful design! Stitch it onto tea towels, apparel or almost anything for the holiday! 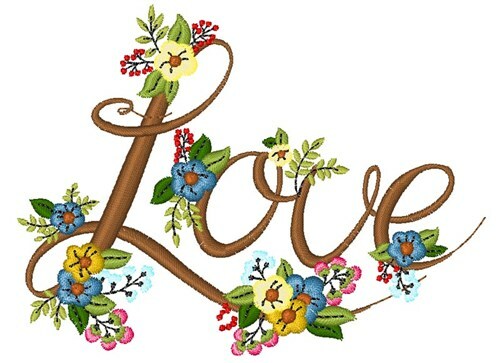 Easy Embroidery is happy to present Love Flowers machine embroidery design which has 9269 stitches and is [94.37 mm x 70.89 mm] large. If you would like to view more embroidery patterns please search on our embroidery designs page.